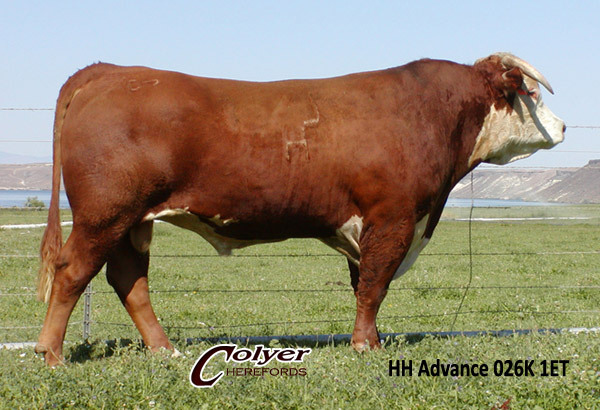 Colyer Hereford Sire: HH Advance 026K 1ET is a Hereford Sire of Distinction and foundation herd sire. 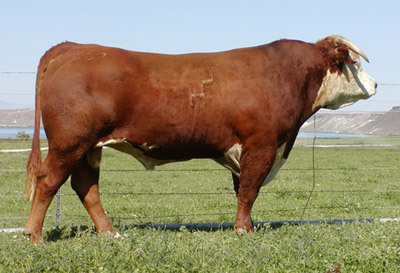 026K was selected to lead the Line One portion of our Hereford breeding program. 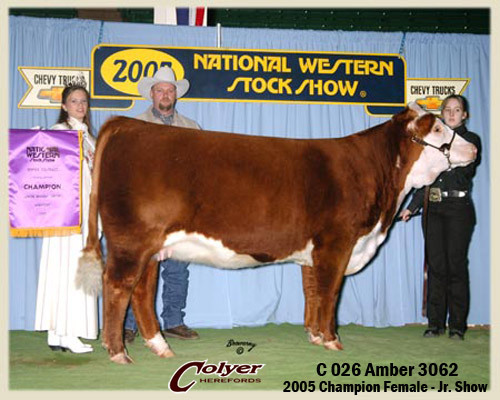 His first calf crop was excellent, including the top selling heifer in our 2002 Internet Heifer Auction and two full brothers to her. 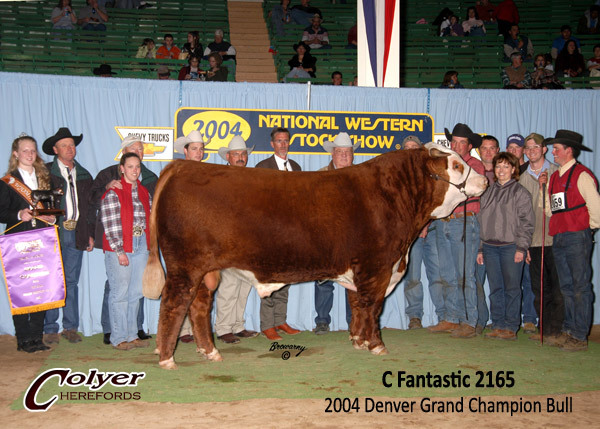 The 2004 National Champion Hereford bull in Denver, FANTASTIC, was also sired by 026K. Stephanie Buchholz. Purchased in 2003 Internet Heifer Sale.